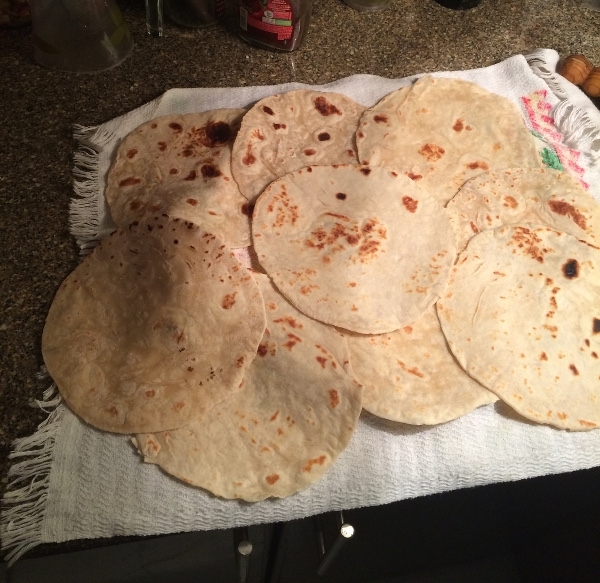 I thought I knew what a tortilla was until I moved to Mexico and my friend Guadalupe made up a few for our lunch one day. Rather than the gummy, tasteless affairs we use to wrap the flavorful stuff in, these had bite and a dry paper-like texture. You could taste the love. Ever since my year-long mission in search of the perfect fettucini alfredo I launched in San Diego in 1984, I have pursued the sublime art of the perfect five ingredient-or-less recipe; the perfect scrambled egg, the perfect hamburger, the perfect rice. The perfect tortilla fall into that category. All you need is flour, salt and Crisco...and a little muscle. Heat a dry grill or frying pan on medium high heat, do not add oil. Cook each tortilla for five seconds per side. Done! 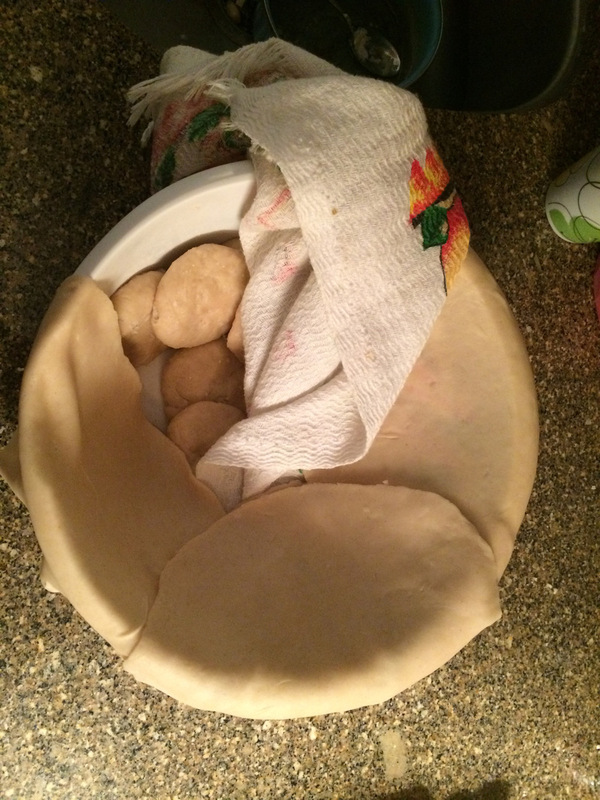 To freeze, wrap the tortillas in a soft clean dishcloth and place in a plastic bag. Spread out to thaw. If you ever want to transform enchiladas into a dish that freezes and keeps texture, the answer is in the tortilla. That is if you have any left after slavering some with butter and eating them hot off the grill. Like farm wives preparing biscuits, Mexican women make it look easy but it was probably the most physical cooking performance I have ever been a part of. Once you eat a few, you will never go back. Next up: Remember those days of exchanging cultures as a back-packing 18-year old? The process never changes if you expat. Most recent: A Mexican newspaper writer explores an old story to explain Mexicans' patience.